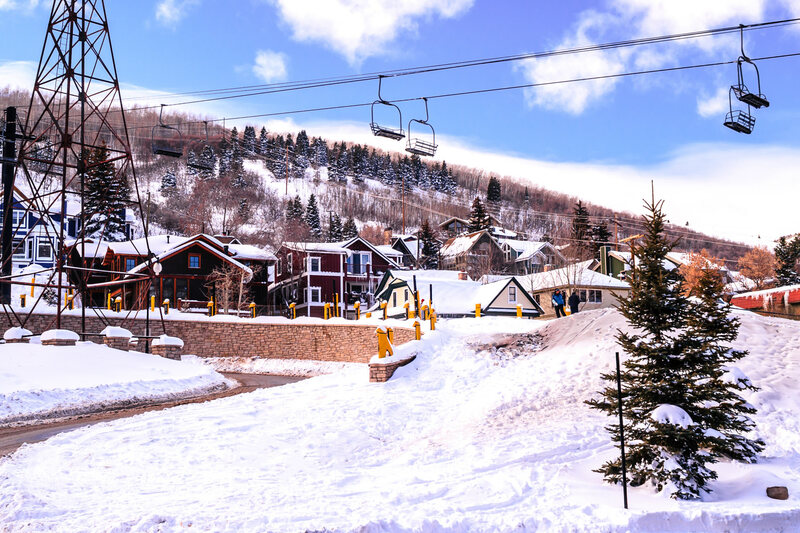 A ski lift arcs over Park City, Utah. 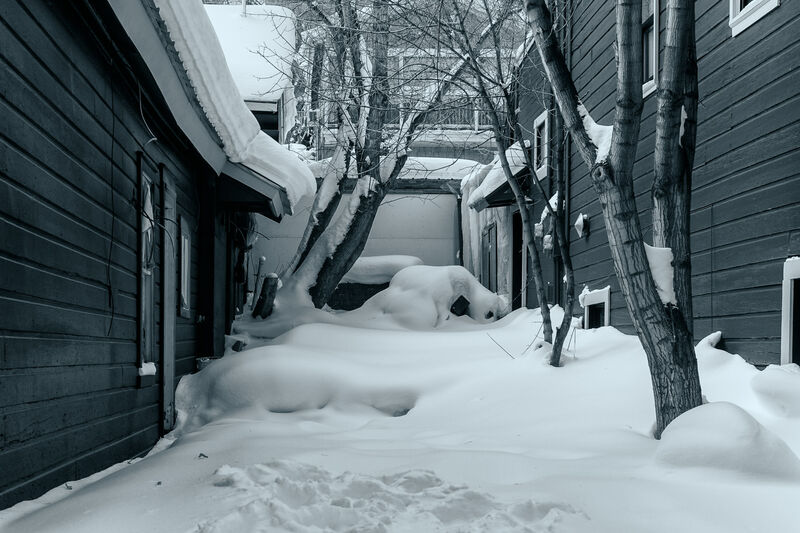 Snow fills the spaces between houses in Park City, Utah. 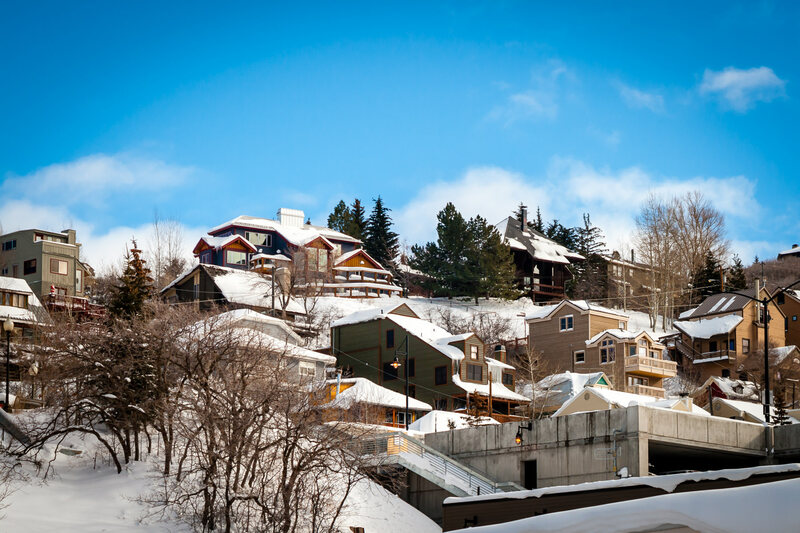 Snow-covered houses in Park City, Utah. 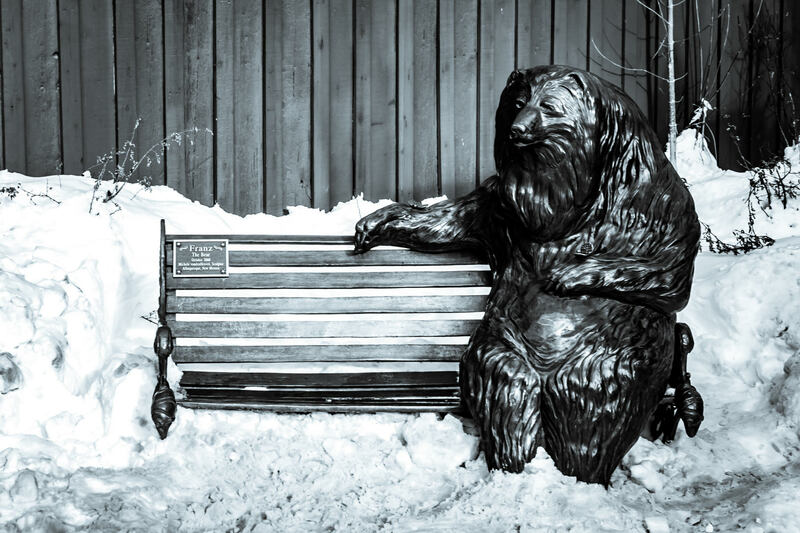 A bronze sculpture, Franz the Bear, by Michele Vandenheuvel, welcomes guests to sit next to him on a Park City, Utah, bench. 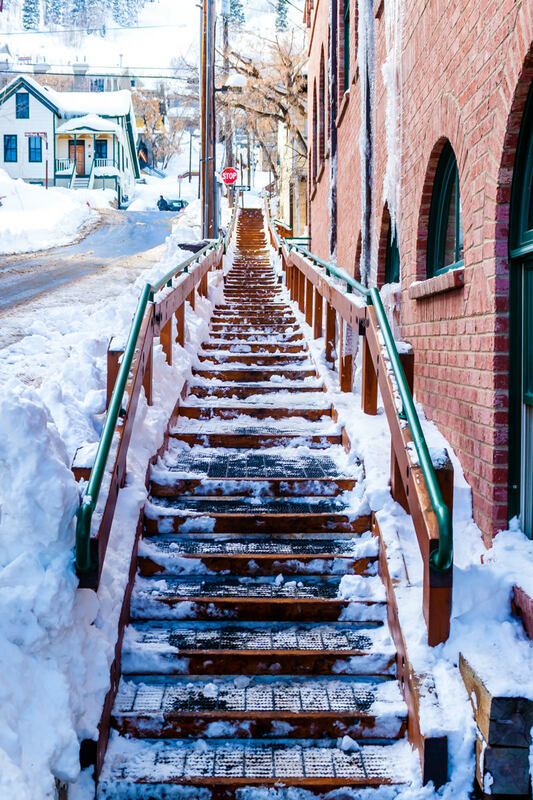 A snowy staircase in Park City, Utah. 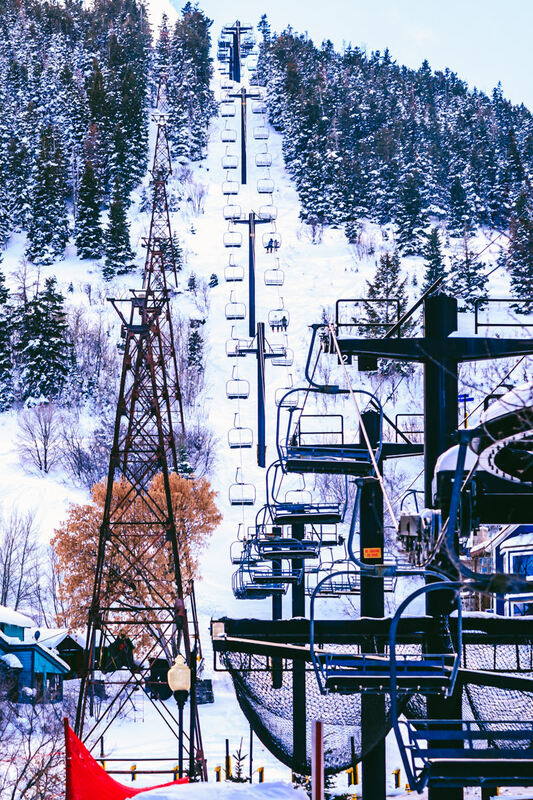 A ski lift in Park City, Utah. 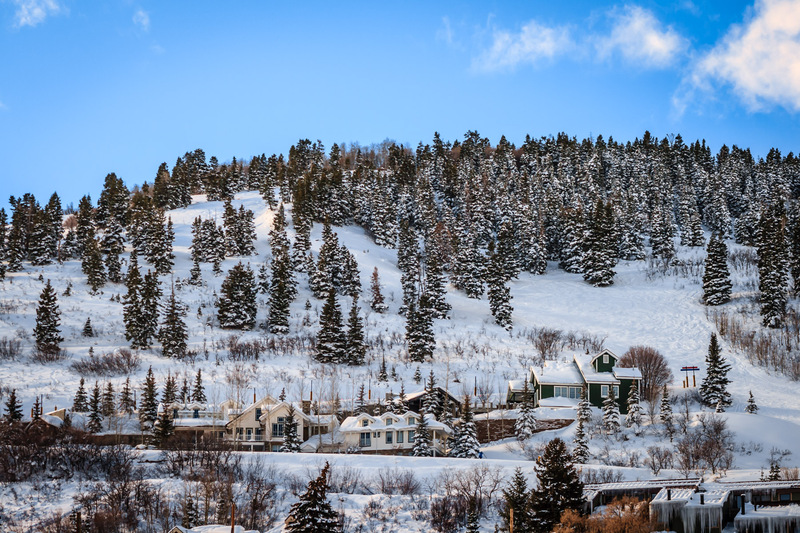 Snow-covered trees and houses in Park City, Utah. 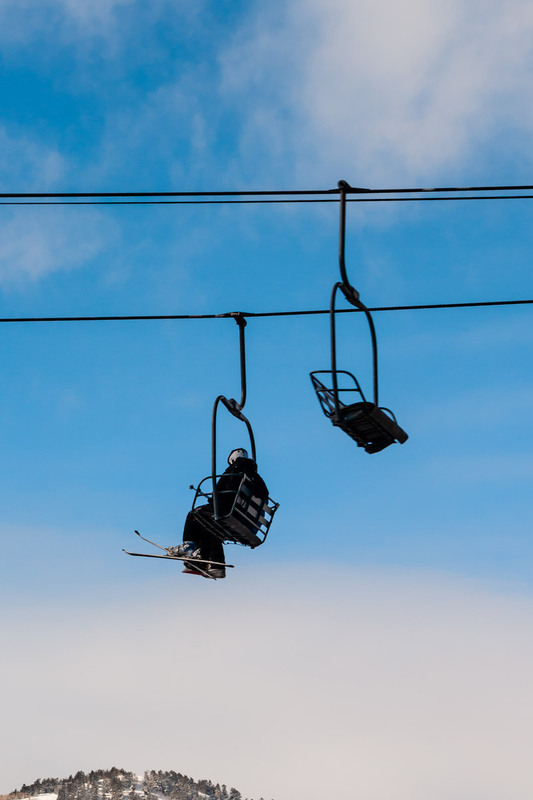 A lone skier rides to the top of the mountain in Park City, Utah. 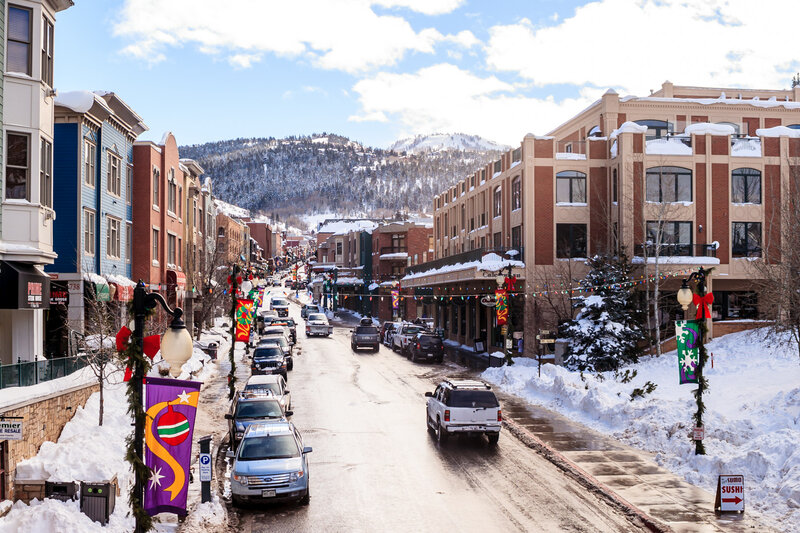 Park City, Utah, looking down Main Street.